It must be in the Japanese DNA. How else can one explain the fact that the Japanese have such a strong artistic sense? They seem to immerse themselves in beauty, even making the viewing of cherry blossoms a national pastime. Not content with admiring the beauty of nature, they skilfully recreate it in their art and crafts. 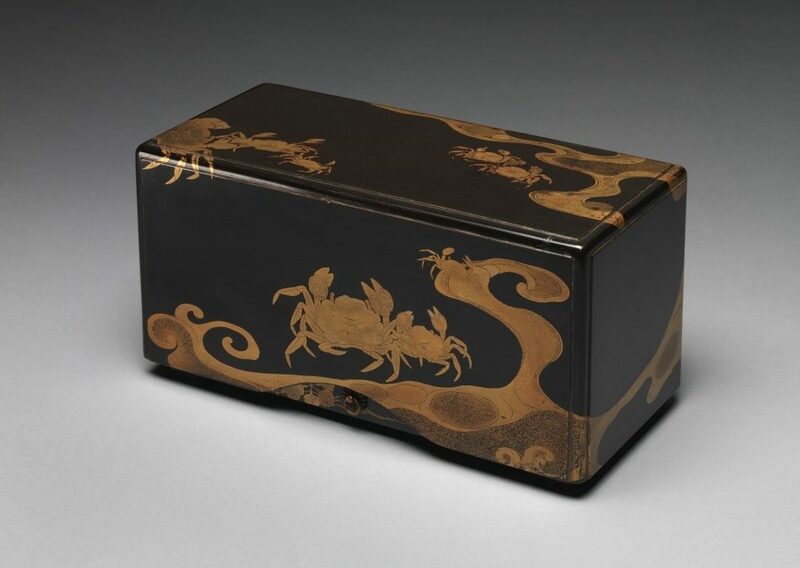 The 17th-century lacquered wooden box pictured above with its crabs and waves motif shows how they can transform the most ordinary and mundane things into objets d’art. 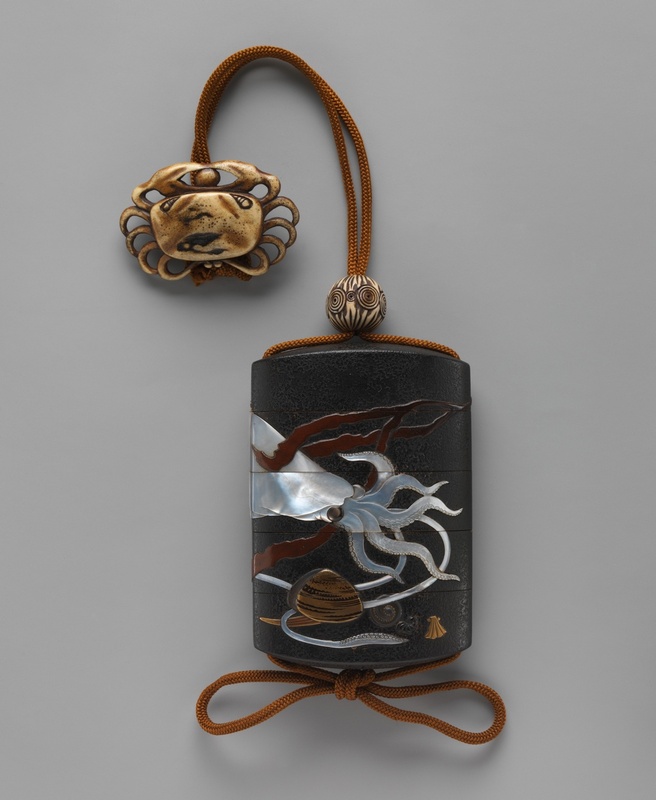 The attention to detail is especially remarkable in small objects such as the inro, a portable case which is worn suspended from the obi or sash of a Japanese man’s kimono. 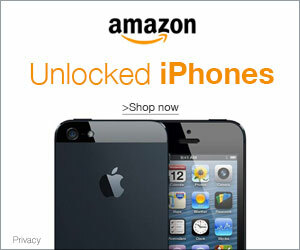 The inro is used to hold such items as medicine pills or confections (read more about it here). In this fashion accessory, one sees a marriage between the aesthetic and the utilitarian, something Japanese artisans throughout the centuries have mastered. In this inro, the artist used powdered gold and coloured lacquer on black lacquer with mother-of-pearl inlays for the case. The fastener (netsuke) is made of ivory carved in the shape of a crab [from The Met annotation]. 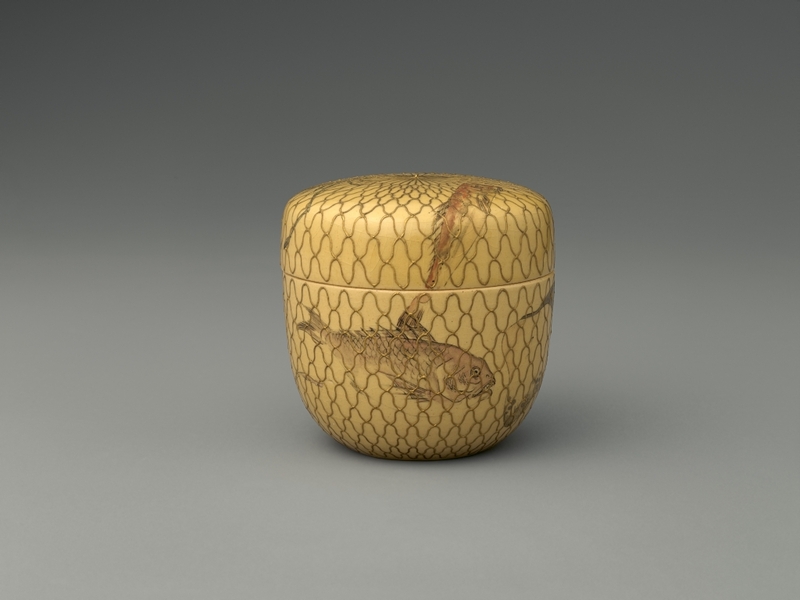 The exquisite design shows an unusual eye for beauty and reflects the Japanese people’s close connection with the sea. 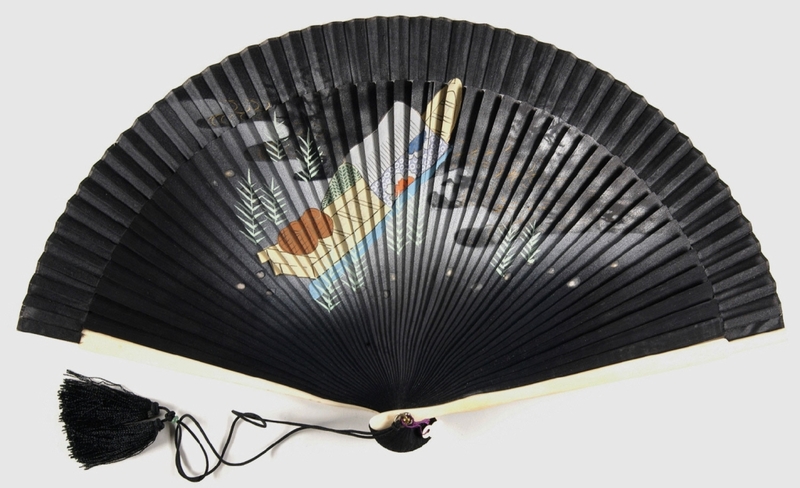 Such connection becomes more intimate when nautical images are incorporated in the design of personal items such as a fan or a comb. 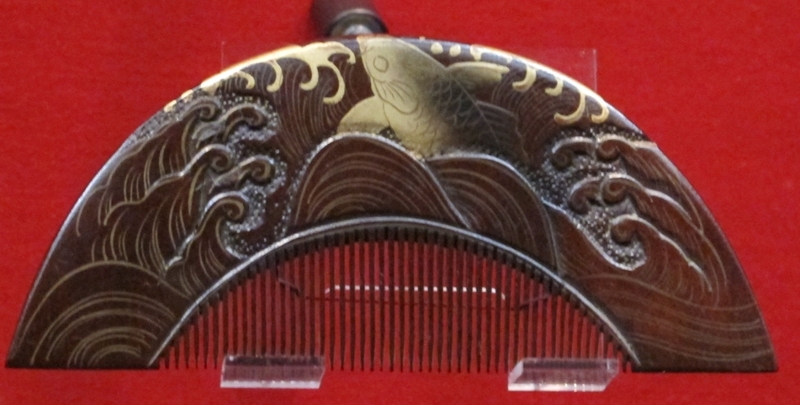 Marine art can be seen as well in some implements used in the Japanese tea ceremony. 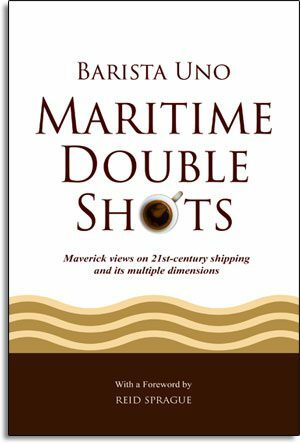 In a sense, the Japanese not only wear art; they drink it. 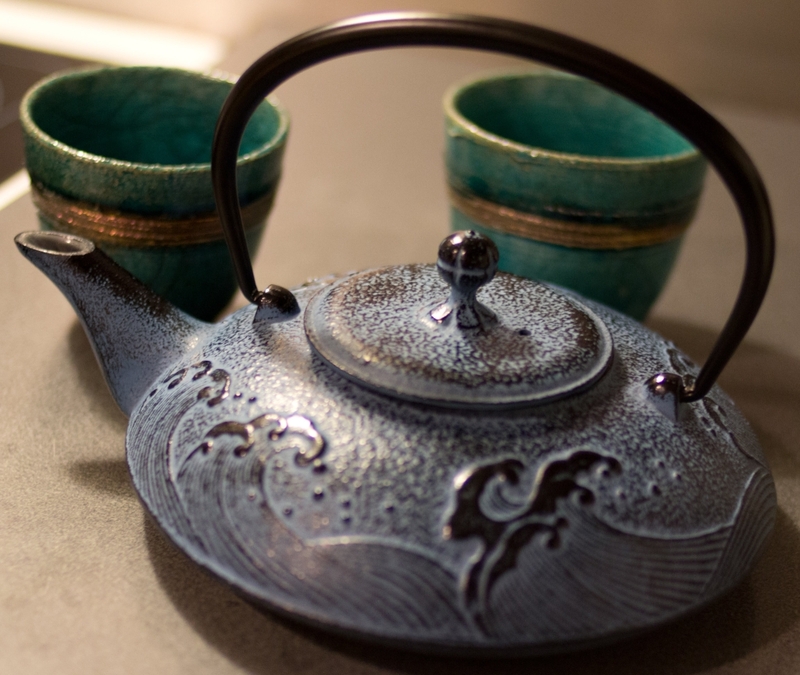 This cast iron teapot (known as tetsubin) calls to mind Hokusai’s iconic woodblock print, Under the Wave off Kanagawa. 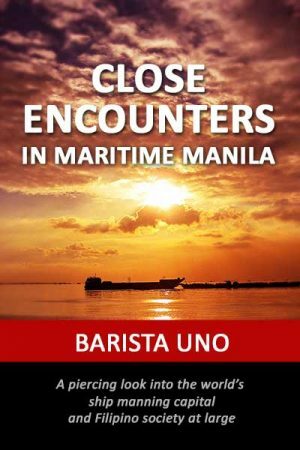 It is yet another reminder of how the Japanese look at the sea: more than just a source of sustenance, it is a powerful, living entity deserving of man’s respect and even reverence. 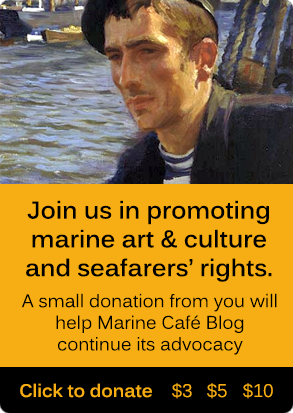 Read this interesting post: The way of the sea in Japanese woodblock prints.